Earlier this month, a couple reports came out suggesting that Bing’s search market share took a hit in September. Hitwise reported that Bing’s share of U.S. searches was down 5 percent (in absolute terms, it was a half-point drop to 8.9 percent share). StatCounter marked an even steeper 12 percent decline (or a full 1.1 percent drop to 8.5 percent share). The headlines followed. 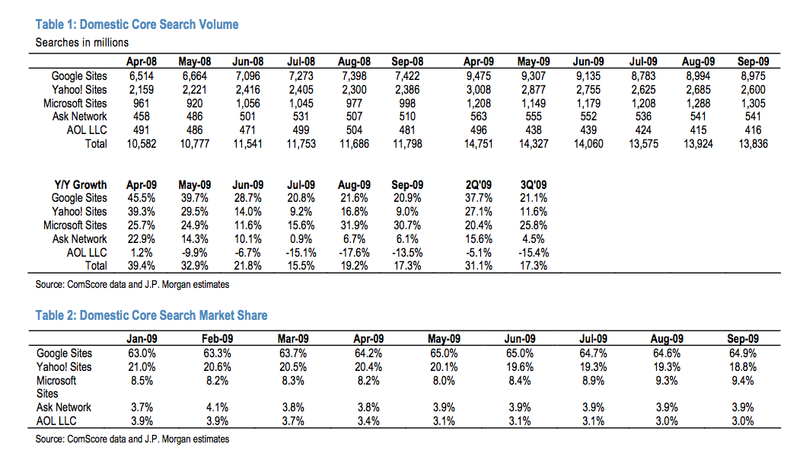 But now comScore says all of that’s bunk. Tonight it released its qSearch market share numbers, which are widely followed on Wall Street, and they show no decline for Bing in September. According to comScore, Bing’s U.S. search market share remained steady at 9.4 percent in September, up from 9.3 percent in August. That is not blowing the doors off of anything, but it is at least holding its own. 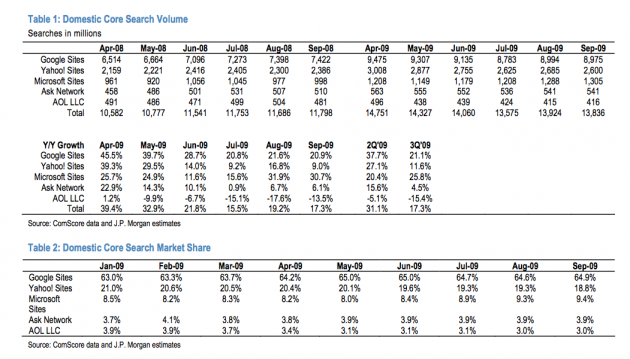 Meanwhile, Google’s share went up 0.3 point from August, to 64.9 percent share. The biggest loser was Yahoo, which was down 0.5 percent in absolute terms to 18.8 percent share. Since the beginning of the year, Yahoo is down 2.2 percentage points in share, while Google is up 1.9 percent and Bing/Microsoft is up 0.9 percentage point.